A Voorhees native who graduated from Rutgers Law School with a JD/MBA in 2011, Brekke is a South Jersey attorney who ran for public office at the age of 28. For the last decade, she has focused on public policy, working with organizations to understand the need for succession planning, and generating interest amongst young professionals to get more involved. 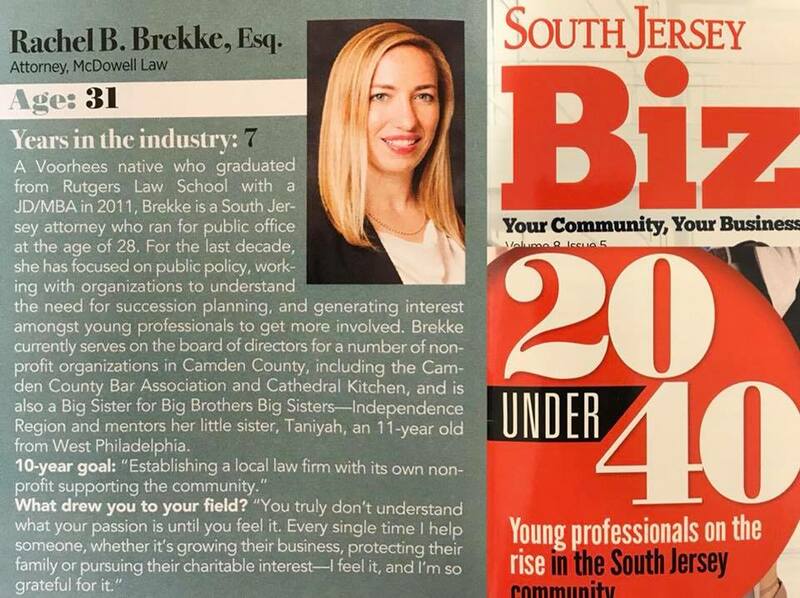 Brekke currently serves on the board of directors for a number of non-profit organizations in Camden County, including the Camden County Bar Association and Cathedral Kitchen, and is also a Big Sister for Big Brothers Big Sisters—Independence Region and mentors her little sister, Taniyah, an 11-year old from West Philadelphia.